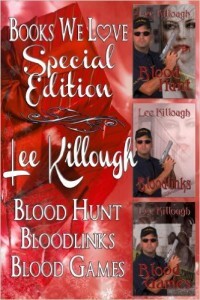 This Lee Killough Special Edition published by Books We Love contains all three of the Garreth Mikaelian vampire cop mysteries: Blood Hunt, Bloodlinks, and Blood Games. View more books in the genre "Mystery-Thriller". View more books in the genre "Urban Fantasy".